We have a fantastic PA who run great fundraisers and support our school in its everyday life. They provide reception and refreshments at various events over the year, support us in providing extras for our students (such as sponsoring visitors to the school, workshops, dance classes etc.) We are delighted to work with them as valued partners in education. 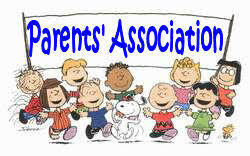 What is a Parent’s Association? Each parent of a child enrolled in the school is automatically a member of the Parents’ Association and the active participation of a large number of parents is necessary to maintain the level of parental support our school so desperately needs.